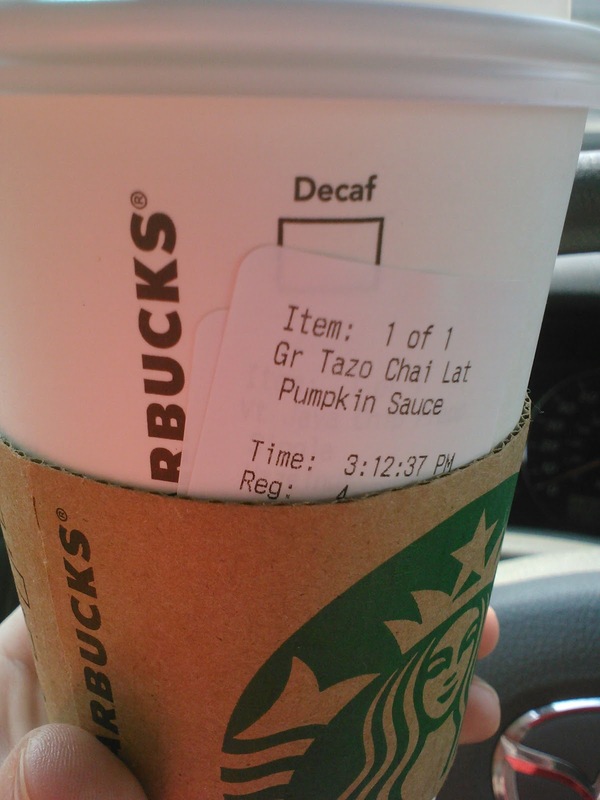 A Grande Pumpkin Spice Chai from Starbucks! It is pretty self-explanatory...pumpkin spice + chai = Emily in love! I'm not a coffee drinker (that's my sister over at Lady Loves Coffee) so I always opt for a chai when we go out and about and now I want to go out and about multiple times...every.day. This past summer we traveled back to Tacoma, Washington to my husband's family (his mama lives there) and this time we made a stop at the infamous Starbucks flagship store! I purchased some Pike Place Roast coffee beans for my sister and my brother, and a coffee mug for each of them. Just visiting there was awesome. Definitely a tourist trap/destination. But if you love their drinks as much as I do, and you happen to be in Seattle. Make the stop. It is worth it! So when you go, be prepared to wait to get in and to be shoved around, and to be in other people's photographs!